This is a story about a deaf man and how he obtained what everyone in the hearing world has. He owned his own home, and a farm. He owned two vehicles, a car and a van, both in good working order. He worked as a piano tuner when in his thirties, even though he was completely deaf. He had his own successful carpentry business in his later years, and taught Sign Language at a local community college to hearing people in what was supposed to be his retirement years. Norman Sero proved that indeed, deaf does not equal dumb. The deaf community is offended by the label, “deaf and dumb.” It gives the impression that deaf individuals are less intelligent than those who hear normally. Norman was my father-in-law, and he didn’t believe that. He believed that all deaf people had the potential to be what they wanted to be. In many instances, he was able to help children who were deaf. In the past, parents have been known to keep them literally in cages, thinking that they were defective, ashamed to let the world at large see them. In one instance, a young girl was tied to the front porch of her home by a rope, around her waist. She was a young teen at the time. Dad went to the parents after talking to the girl, showing her signs and pointing to things to see if she comprehended. The parents were more than happy to give their daughter to him to teach. He started her education, and then sent her to The School for the Deaf in Milton, Ontario. That young lady grew up to become a seamstress, making her own wedding gown and eventually running her own sewing business. If not for dad, that girl would not have had a normal life. At the age of 76, dad decided that it might be good to teach American Sign Language to hearing people so that the deaf community would be better served in banks, stores, and doctor’s offices. He and I devised a curriculum whereby he could teach these classes. It was difficult to put together a curriculum, but finally we settled on a chapter-to-chapter form using a textbook that was then available to us. I attended his first class and watched him at work. He wrote on the blackboard. My name is Norman Sero. I am your teacher, and I am deaf. Everyone looked surprised but it didn’t take them long to warm up to him. He began with an icebreaker where everyone had to relate a sentence to a partner but could not speak, use any sign language they might already have nor could they write it down. It proved his point. He started the students out by teaching them the alphabet in sign. This was very important, as it is the base for the language. The students then progressed into simple, useful signs for things such as coffee, tea, milk, bathroom etc. They continued on to more complex signs. At the end of eight weeks, the students could communicate on a basic level and had learned 300 signs. That was level one. By the time the students had gone through three levels, and the accompanying text, they were able to have conversations in sign. At this point, they were then taught the finesse of A.S.L or American Sign Language. This is actually a shorthand version of Signed English. Dad told jokes. He created group assignments. He wanted to make the classes fun. It was important to him that they learn properly. Sign Language is a whole body language: facial expression, body language, and signing all go together to tell a complete story. I often went with him when he was shopping, especially for farm equipment. He always got his point across. For those especially obtuse, I could always translate. Dad worked with his elderly friends. It was an inspiration watching him organize and delegate. One Canada Day parade, dad and the members of the Board of the Brantford Association of the Deaf created a float depicting Deaf Awareness. Everyone brought food, with the wives setting up a picnic and turning the job into a party. We were positioned in the first third of the parade. We walked along, handing out cards with the Sign Alphabet on it. We gave candy to the children along the route. Tearing down afterward was almost as much fun as building the float had been. Working all day in the fresh air, then teaching two nights a week, began to wear on him eventually. A resting period was necessary each day. From 12 until 1 p.m. he would nap in the big lawn chair in the still unfinished house. He actually signed to himself in his sleep. It was interesting to watch. Even with all of this work, he also ran The Ontario Camp of the Deaf, on Lake Rousseau in Perry Sound, Ontario, which he founded in the early fifties. The camp was exclusively for deaf children and their families. He did all the repairs, and building. Each spring, with the help of volunteers, my husband and myself included, he opened the camp up and closed it down again in the fall. Counseling deaf families was the toughest job of all. It is difficult to communicate to a father that his deaf son was protesting because he wanted to be like the other kids his age. Often, I would have to be the go between. I remember once when dad and I visited a family of deaf people. The parents fostered 13 deaf children and teens. We went into the house and the noise was unbelievable. Everyone had their own TV and they were all turned up to the max. Dad and I had to advise the mom as she had been given a deaf/blind child to care for which was my expertise. I found it difficult to concentrate in the chaos but it didn’t bother him at all. 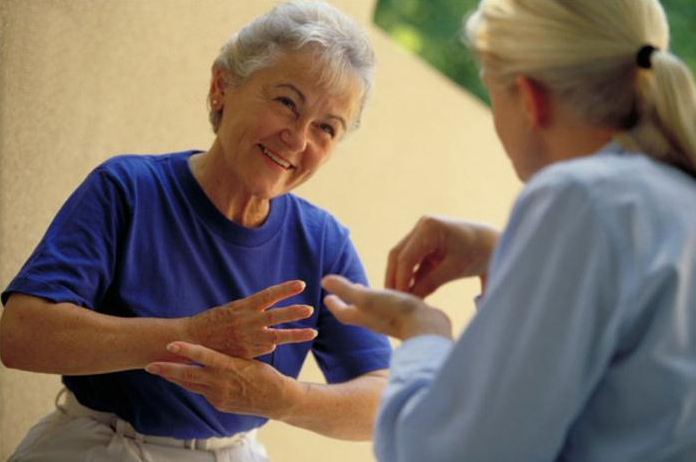 Many of the deaf community are elderly people. They have their own culture. They want to keep the young people close. The young people want to fit into the world at large. The conflict is ongoing. Norman Sero was a great mentor. He passed away in August 1991. He proved his life was successful and worthwhile. He proved that “deaf does not equal dumb”. I still miss him.